Any Melodies International release causes a certain amount of hullabaloo, but their latest disc has had eager customers beating down our door in anticipation. Dedicating their 11th release to both soul and house royalty, the digging crew have licensed a pair of tough to track down Frankie Knuckles remixes of Womack & Womack soul classic M.P.B. Originally appearing on their late 80s "Conscious" LP, "Missing Persons Bureau" is a beautiful slice of modern soul all about a lover running out on you. 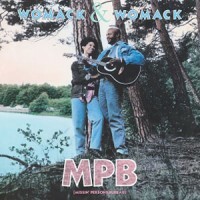 Though the Womacks were initially apprehensive about the idea of a rework, Island impressario Chris Blackwell won them over and sent the masters to all time house hero Frankie Knuckles, who turned out a pair of pearls. Working his magic for 9 A-side minutes, Frankie splices the club soul of the original into a slow and soulful house groove, flipping our lids with a wondrous SH101 bassline, subtle percussion, bright vamps and a sparing use of the original instrumentation. Spacious and special, this is up there with the legend's Loose Ends remix. If you're peaking already, I suggest you call to mind the pedestrianisation of Norwich City Centre (something to keep the wolf from the door), because the money shot is over on the B-side. A long time Balearic holy grail, Frankie's Folk Version takes some of the 'Hallucinagenic' sound design he brought to "Ain't Nobody", applies it to the Havens's style guitar and vocals, then gradually introduces synth bass, subtle drums and some very familiar piano to create an absolute masterpiece. As good as any of Frankie's productions, and the best moment in the Womack and Womack catalogue, this is total must have tackle. Patrick says: Melodies International come through with an ESSENTIAL reissue here, delivering some psychedelic folk splendour courtesy of Frankie Knuckles sublime 'Folk Version' of MPB. Soulful, grooving and folky in a Richie Havens kind of way, this is a must have record for soul fans, house heads and the Balearic crowd.